The first balance patch in Rainbow Six Siege’s Year 4 will come with a few hefty balance changes. Ubisoft has released a new designer notes blog post covering the major changes coming to the meta with the Y4S1 patch for Rainbow Six Siege. Of course, as is always the case, the test server will get all of them first before they roll out to the rest of the player base. Ubisoft has not yet revealed release dates for either test or live servers at the time of writing. Read on below for all the proposed changes. The balance changes start with Ash, the launch operator who continues to be strong four years on. Ubisoft is removing the ACOG scope from her R4-C. The developer wants to understand the impact of having ACOG scopes available by default for attackers. The attacker will see an increase in the swap time between his SURI Torch gadget and the rest of his arsenal. The aim is to make it easier for defenders to counter his silent hole-making tactics. You only need a single headshot to kill enemies in Siege, so good Maverick players can quietly make a hole in a reinforced wall and tap away. Major changes to Dokkaebi are coming, with the goal of making her less frustrating to play against. Her spam calls will automatically disconncent after 18 seconds, and she can no longer call defenders when in range of Mute’s jammers. Even walking into the range of a Mute jammer will automatically hang up her calls. Capitao is getting a buff. The area of effect for his asphyxiation bolts is increasing. Ubisoft is also introducing a new fire propagation system that will prevent fire from going through objects. Though damage is dropping to 12 from 19, each bolt fired should now cover a larger area. After recently getting a nice buff to her machine pistol, Clash now won’t be able to attach a muzzle brake to the weapon. Lesion’s Gu Mines will now deal four damage per tick instead of eight. Ubisoft feels Lesion is very strong, and this is one way to nerf him without altering the behaviour of the Mines themselves (no sprint/plant). 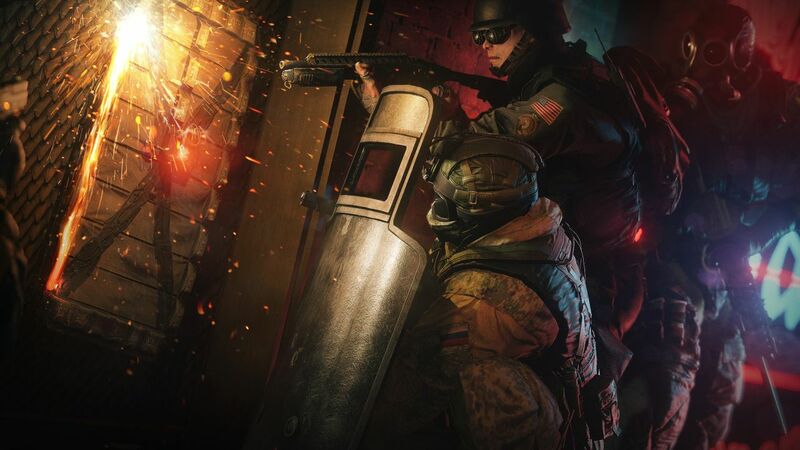 Breaching charges are being overhauled for the Y4S1 patch. The deployment animation is now much faster, and the damage on the side of the attacker has been cut from 150 to just 50. Conversely, defenders caught in the blast will now take increased damage. Ubisoft says the goal is to make breaching charges safer to use for attackers. Beyond these specific changes, Ubisoft continues to make progress on the Lion rework, and making depolyable shields relevant. The developer is also looking into balance changes for Glaz, Blitz, and even changing the shield meta to favour team work better.